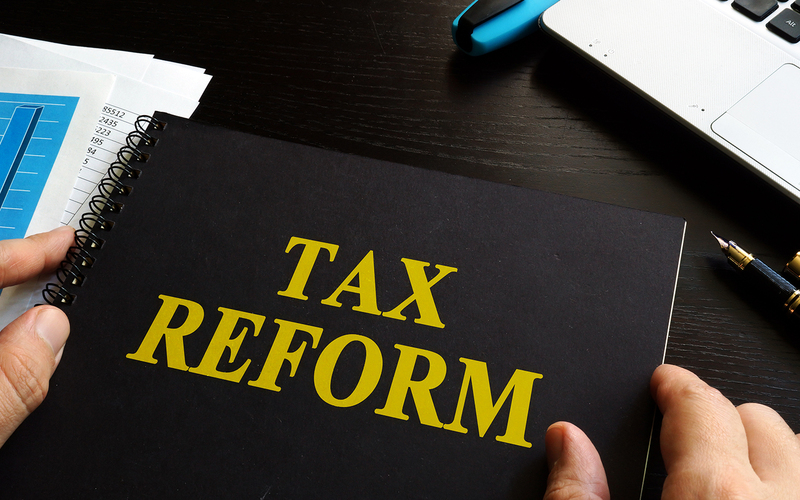 The TCJA has introduced a 21 percent flat tax rate to C corporations, personal service corporations (PSCs) and LLCs treated as C corporations and repealed the 20% corporate alternative minimum tax (AMT). Previous corporate tax rates were 15, 25, 34 and 35 percent. The new rate benefits most corporations but may result in higher taxes for those lower income corporations which previously qualified for a 15 percent tax rate. The Qualified Business deduction (also referred to as the QBI deduction, the pass-through deduction or the Section 199A deduction (or qualified business income deduction) became available for eligible taxpayers for the first time on their 2018 federal income tax return and provides a deduction for qualified business income from a business operated directly or through a pass-through entity. C corporations do not qualify for this deduction. • Eligible self-employed taxpayers and small business owners may now be entitled to exclude up to 20 percent of qualified business income (QBI) from their domestic business on their federal income taxes. This does not apply to their self-employment tax. • Eligible taxpayers may also be entitled to a deduction of up to 20 percent of their combined qualified real estate investment trust (REIT) dividends and qualified publicly traded partnership (PTP) income. Rates may vary and not every eligible business automatically qualifies for the deduction. For more information and details on your unique situation, we recommend that you consult a tax professional. The Good News: Pass-through entities and corporations will now enjoy a doubling of bonus depreciation to 100%, expansion of qualified assets to include used assets, a doubling of the Section 179 expensing limit to $1 million and an increase in the expensing phaseout threshold to $2.5 million. A new tax credit for employer-paid family and medical leave has also been introduced. The Other News: The negative tax break changes for pass-through entities and corporations include a new disallowance of deductions for net interest expense in excess of 30% of the business’s adjusted taxable income (exceptions apply), new limits on net operating loss (NOL) deductions, the elimination of the Section 199 deduction, and a new rule limiting like-kind exchanges to real property not held primarily for sale. Business owners who purchased a passenger vehicle for work in 2018 or later will now benefit from a higher depreciation allowance. Beginning in 2018, the first year depreciation allowance will be $18,000 versus $10,000 in 2017. Individuals, including sole proprietors, partners and S corporation shareholders, may need to pay quarterly installments of estimated tax, unless they owe less than $1,000 when they file their tax return or they had no tax liability in the prior year. The IRS has provided additional information about tax withholding, worksheets and examples in Publication 505. If you have questions, you’re not alone. The TCJA introduced one of the largest sweeping tax law changes in more than 30 years. These are just a few of the most significant tax reform changes affecting businesses. Ronald A. Muscarella, CPA, PA and our team of tax experts understand the ins-and-outs of these sweeping tax law changes, how to best leverage them to your advantage, preserve your wealth and get you the most favorable return possible. Contact us to learn how you and your business will be affected, to provide assistance preparing your 2018 tax return or for a review of previous tax filings for a potential retroactive refund. Ronald A Muscarella, CPA and the Tax Relief Team has helped 1000’s of clients settle their IRS Tax Debt for less than they owed. There is relief for your IRS Tax debt no matter how much you owe. Please contact us today at (954) 746-7801 and put your IRS Tax problems behind you. 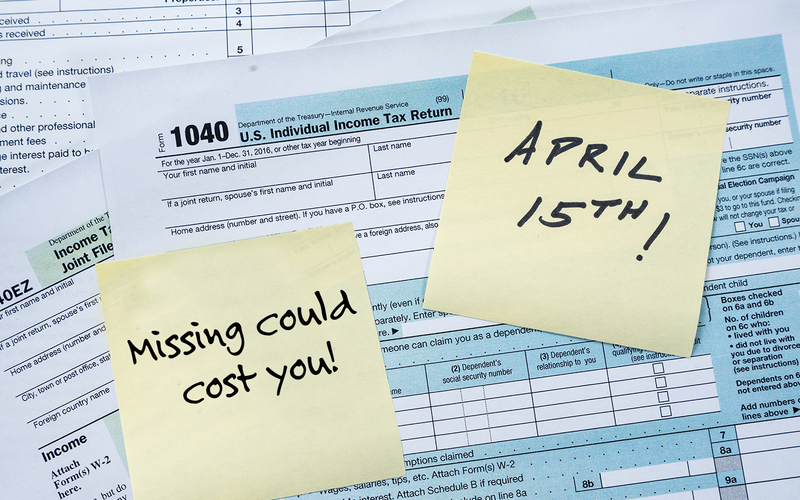 Missing The April 15th Tax Deadline Could Cost you. Recent changes to tax laws (due to the Tax Cuts and Jobs Act) are in effect for 2018 returns, so allow plenty of time to organize your records and file given these significant new changes. However, if you haven’t filed your taxes yet, don’t fret. There’s still time to get prepared, beat the April 15th deadline and avoid the stress of filing at the last minute. Did you know that April 15th is the deadline for more than just filing individual tax returns? April 15th is the last day to file and pay your 2018 income taxes. Most individual tax payers use Form 1040. Tuesday, April 15th is the final day to request an automatic six-month extension on filing personal income taxes and to make a tax payment. It is important to note that filing an extension extends the filing date to October 15th, but does not extend the deadline to pay. If a payment is owed and not made by the due date, you will be charged interest on the unpaid tax balance and penalties for filing and paying late. The first quarterly payments are due for individuals who must make their first estimated tax payments for 2019 using Form 1040 ES. Don’t have all of your tax documentation? Tax Relief CPA can help! Did you know that Ron Muscarella, CPA PA and the tax experts at Tax Relief CPA can pull most of your important IRS tax information for you? It’s true. If you’re feeling pressured to get your taxes in by the deadline, don’t think you have all of the information you need or just have a few questions, we’re here to help. Contact Ron Muscarella, CPA PA to learn more or for a free, no obligation phone consultation. 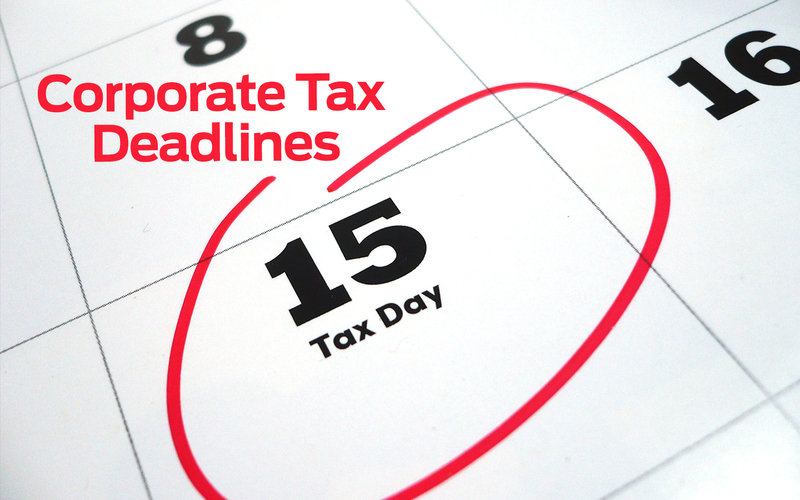 Save These March Dates: Corporate Tax MUSTS! This is the deadline to file your S corporation (Form 1120-S) or Partnership return (Form 1065). S Corporations and Partnerships do not pay taxes on their income. This tax is paid on the individual incomes of the shareholders or partners. If you’re not ready to file your tax returns by March 15th, you can file an automatic six month extension by the same date. Note: This is the only time you can file this extension. Quarterly payroll returns are due. If you file your payroll returns on a quarterly basis, they are due on the last day of each quarter. If you make payroll tax deposits on a monthly basis, your payroll tax deposit is due on this date. Note: Ron, we didn’t discuss this, but thought you might want to add it in. If not or it is incorrect, please delete or advise. If you have questions, need assistance or are ready to file, put the power of the experts in your corner. Contact Ron Muscarella, CPA PA or the Tax Relief CPA team for a free, no obligation phone consultation. 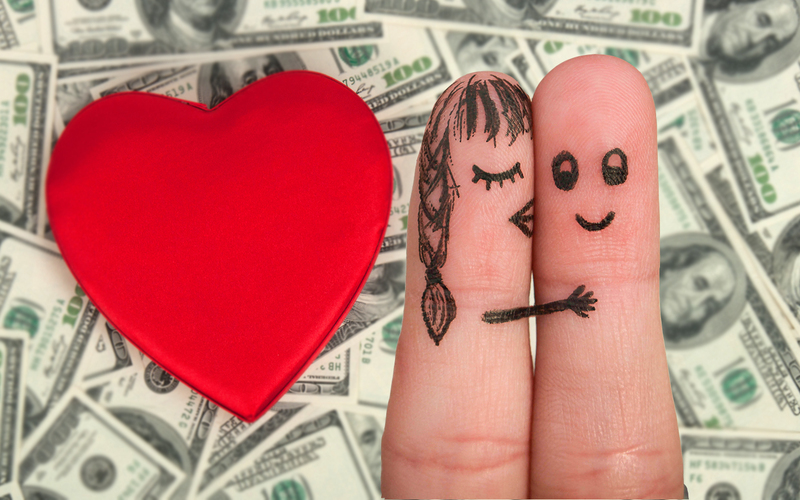 Love & Money – 3 tips to talk about finances. How couples can “lovingly” discuss finances. February is the month of LOVE! While many are showering their partners with chocolates, romantic dinners and flowers, smart couples are also including a discussion on finances. After all, transparency and working together towards a common goal can bring couples even closer together. We believe it can even be….romantic! If you’re unsure of how to approach the conversation with your partner – particularly if finances have been a sensitive subject in the past – here are a few tips to get the discussion started. Focus on your why: Why you want to achieve financial security is closely linked to your love for your family. Make a date in a quiet setting to share your love for your partner and your dreams about where you want to go in your lives as a couple. Ask him/her for their thoughts and dreams. This can go along way to bringing you closer – and may even spark a little romance. Develop a plan, together: Once your dreams and goals are clear, you and your partner will together develop a budget and roadmap on how to get achieve them. Take action: While you’re motivated, take quick action to get your finances organized. After all, nothing dims romance like stress. Once organized, get your taxes filed by or before the deadline or file an extension. Bring in the pros: “Married filing jointly” or “Married filing separately”? Every family’s finances are as unique as they are, but you don’t need to go it alone. Whether you are seeking a one-time consultation, advice on dealing with the IRS, filing assistance, tax debt relief. Are you are looking for ongoing support to reach your goals and keep your finances on track? Leverage the power of an accounting expert who understands the changing tax laws and will optimize your opportunities while minimizing your tax burden. When you’re ready to get started, don’t hesitate to contact Ron Muscarella, CPA PA or the Tax Relief CPA team for a free, no obligation phone consultation. Review your withholding: With an increase in the standard deduction, a new child tax credit and lower tax rates among other tax changes, we recommend recalculating how much is withheld from our your paycheck to see how the numbers compare so you are not surprised at the end of the year. Reassess your charitable giving goals for 2018: By planning your charitable contributions now, you may be able to reach enough deductions that it pays to itemize. Contribute to your retirement plan: When you contribute to your Roth, traditional IRA(s) or other retirement plan earlier in the year, you are maximizing its potential time for growth. Contribution limits for IRAs for the 2018 tax year are $5,500 generally and $6,500 for those 50 and older. If your workplace offers a traditional or Roth 401(k), consider contributing to it throughout the year through deductions from your paychecks. If the loss or reduction of itemized deductions, such as state income and property tax, will cost you more in taxes, consider making bigger pretax contributions to a traditional 401(k) or IRA to reduce your taxable income now. Evaluate itemized deductions: While the new tax code may have increased the standard deduction, it eliminated many itemized deductions. These include a $10,000 cap on the amount of state and local taxes taxpayers can claim, and eliminated many miscellaneous itemized deductions, such as unreimbursed employee expenses and investment fees. To make the most of these recent changes, review your Schedule A, which lists itemized deductions and consult with your tax professional. Hire a tax professional: Taxes are complicated, particularly with the wide range of changes to the 2018 tax laws. A skilled tax professional will help you optimize your tax strategy to make the most of your return and can often save you thousands. An experienced tax expert understands how to leverage the ever-changing tax codes to your advantage. When hiring a tax professional, look for a tax pro licensed by the IRS who’s authorized to represent you, if needed. Take action today to better understand your current tax status and options under the new tax codes. Leverage our expertise to evaluate your 2018 tax situation, take corrective action while there is still time and legally minimize what is owned. For more than thirty years, Ronald A. Muscarella, CPA PA has been one of South Florida’s leading and most respected tax professionals with a reputation for high integrity, unparalleled expertise, caring service and getting results – even in the toughest of cases. Contact Ronald and the Tax Relief CPA today at 954-746-7801 to make the most of your tax situation. Employers are looking for qualified candidates. So is the IRS. 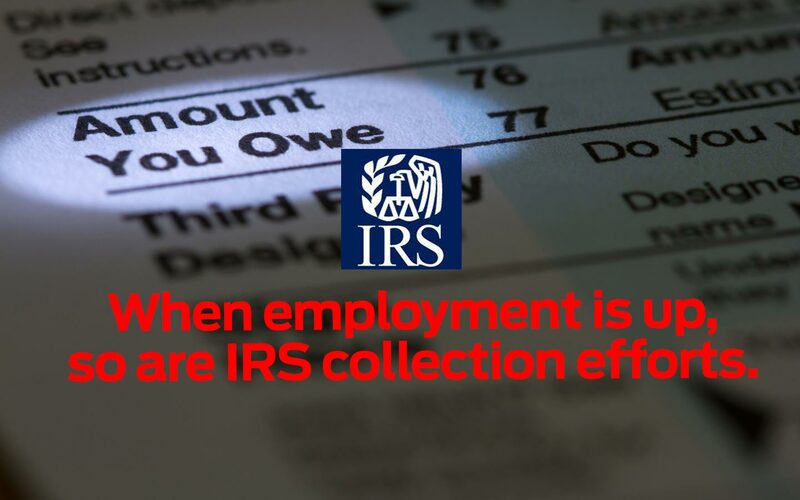 When unemployment is down, IRS collections are up. In the United States, we are enjoying some of the lowest unemployment rates that we’ve seen in decades. The jobless rate touched an 18-year low of 3.8% in May, 2018. The US unemployment rate fell to 3.9 percent in July 2018 from 4.0 percent in June, matching market expectations. For those who have been out of work, these statistics are great news. For those behind on their taxes, be prepared for a knock at the door. Many job seekers are back to work and earning the paycheck they’ve sought for a while. While we are enjoying some of the lowest unemployment rates in recent history, the IRS has stepped up their collection process and has become more aggressive in their tactics. For those who have waited too long to pay their taxes, the Internal Revenue Service is frequently sending agents to their homes and businesses in an effort to obtain information and collect. If you’re back to work, it is time to get back to Uncle Sam. With the help of a trained tax professional, it is much easier than most taxpayers think to avoid the embarrassment and stress of dealing with IRS collectors and resolve their tax liabilities. Take decisive action today to know your options. Take decisive action today to know your options, restore hope and regain peace of mind. 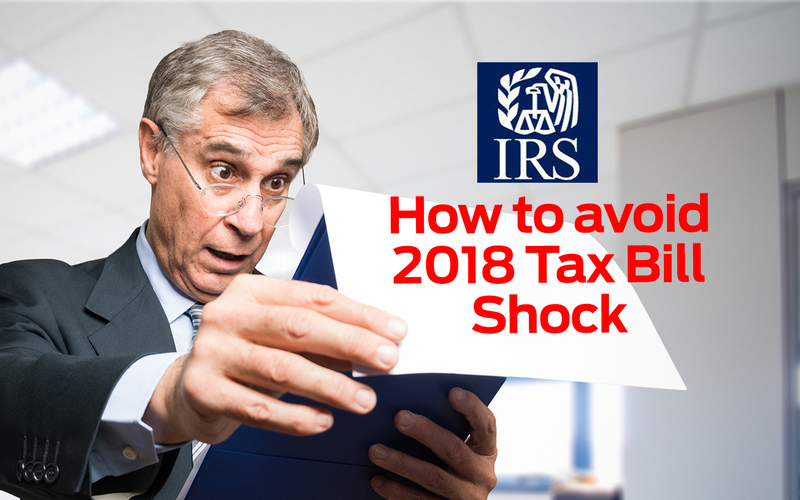 If you are behind on your taxes, you may be eligible for an Offer in Compromise, the IRS Fresh Start Program or another settlement opportunity. Ronald Muscarella CPA, PA and the Tax Relief CPA team are specialists in serving those who are behind on their taxes with compassion and getting results. Frequently, we are able to settle with the IRS for pennies on the dollar, faster, easier and more affordably our clients thought possible. Don’t delay. The sooner you act, the sooner you will be on the road to tax recovery and breathing a sigh of relief.